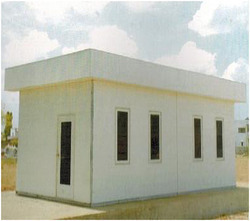 Manufacturer of a wide range of products which include pvc cabin. We are offering a wide array of PVC Cabin which is inspired from rich heritage of traditional Indian arts, which is adored by whole country. Our assortment of products is highly popular among our customers as they are enormously attractive and outstanding for strength. We offer these distinctive products at most affordable rates to our customers. Shades: Rosa, GBR, MBL, CFR, 301, Saffron Gold, Black Oak, Walnut, CDR 111, Owgyl and Teak.